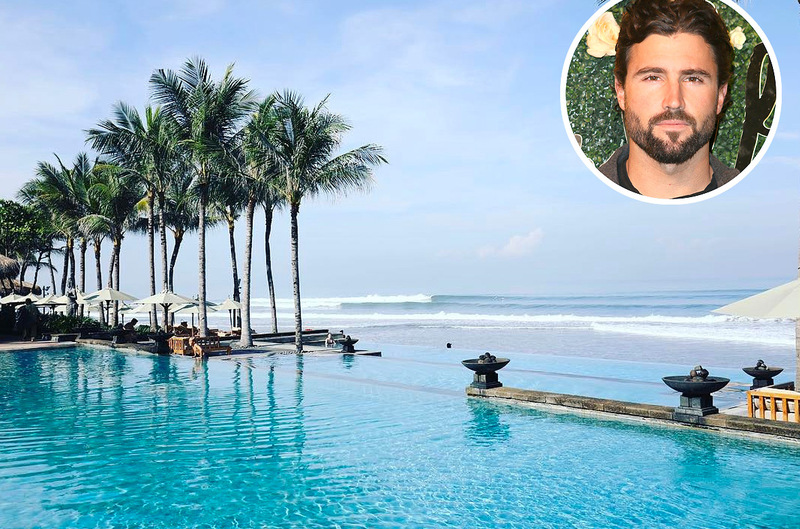 Wizards of Waverly Place star David Henrie's honeymoon with Maria Cahill was made even more romantic thanks to the resort's gorgeous crescent-shaped beach, five-star cuisine, couples' massage options, sunset cruises and more. The best way to describe Coco Rocha's Cannes hotel is right in the name: Majestic. A private pool and beach, a projection room, spa and kids' suite are a few of the many luxurious amenities guests will be privy to. Justin Bieber made himself at home at the One & Only Cape Town hotel when he passed through the South African city on his Purpose tour this week. The five-star resort proved the perfect setting for the singer to make an impromptu video of himself getting dance-y after some (presumably very caffeinated) iced coffee. Four hundred thousand fans also joined Bieber's Instagram live session, during which he gave a tour of his suite — complete with positive messages scrawled on the bathroom mirror and clothes on the floor — before heading out into the hallway to prank his fellow guests by pretending to be room service. Call it a staycation! Kourtney Kardashian was spotted about 20 miles from her famous family's stomping grounds in Calabasas, California, the morning after an overnight stay with flame Younes Bendjima. Of 38-year-old Kardashian's fling with the 24-year-old model, source told PEOPLE in early May, "It's not serious. She is single and having fun." Five-star fun! 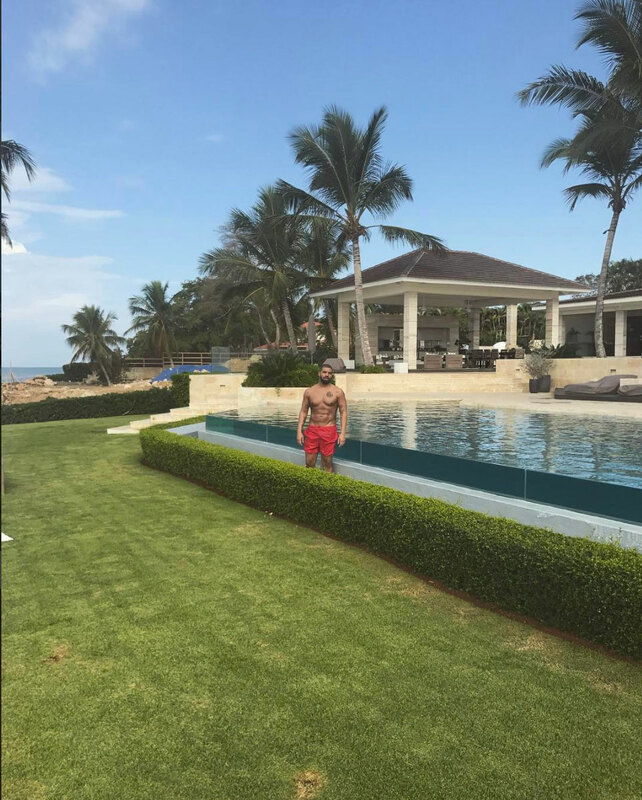 Drake took to one if this resort's luxury villas for a few days of "peace seeking," as he captions this shot. Jennifer Lopez and Alex Rodriguez also took the spot for a romantic getaway in April. 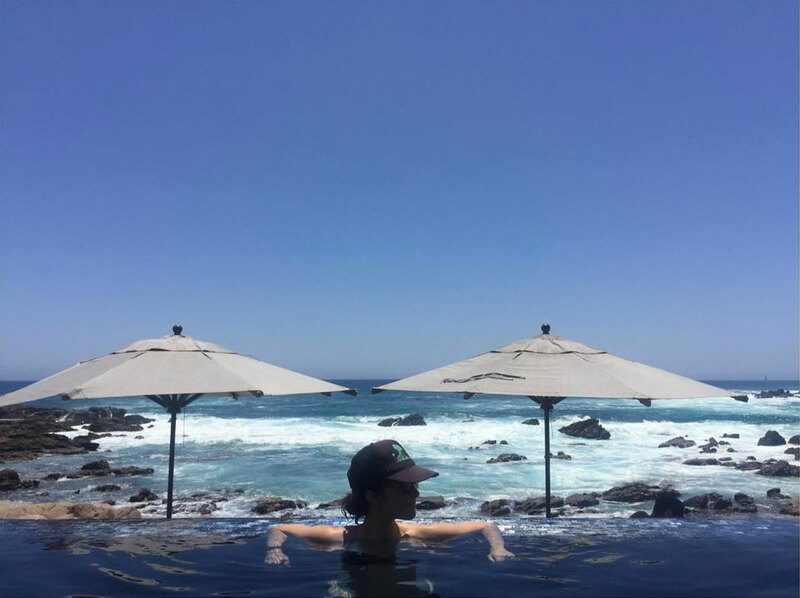 Abigail Spencer's resort in Cabo San Lucas, Mexico boasts activities like horseback riding, diving, tequila tasting, yoga and more to complement its oceanside views and stunning residences. The Bachelor's Lauren Bushnell "made it to the desert" AKA this pretty property near the Coachella grounds, which offers suites, private residences, five public golf courses, a spa and more. Kellan Lutz was spotted at the QT Gold Coast while in Australia promoting his new film, The Osiris Child. When he wasn't working, he was sipping drinks at the Stingray Cocktail lounge and getting an "unbelievable" massage at the resort's spaQ. 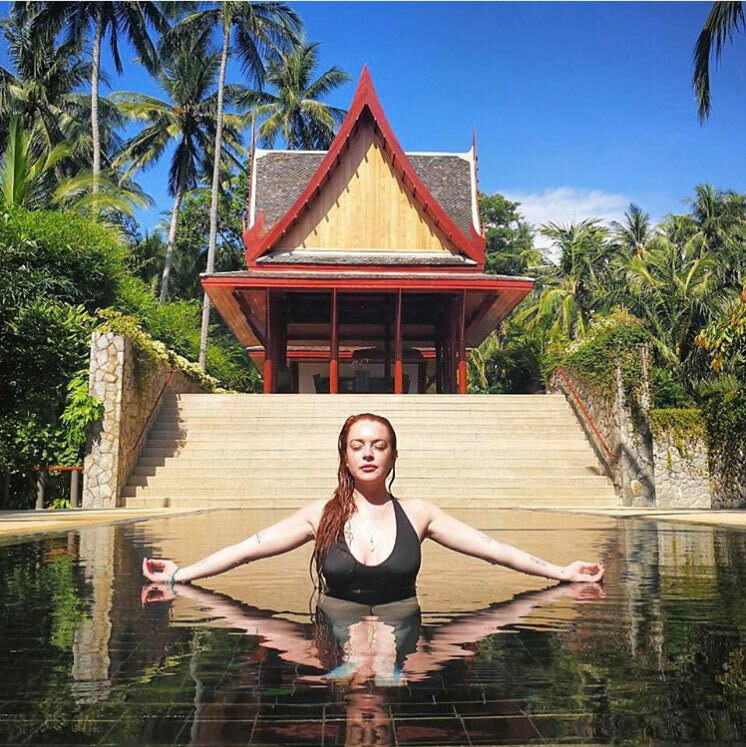 Mean Girls star Jonathan Bennett took a "grool" trip to Cancun with friends and stayed at The Grand at Moon Palace Cancun. The resort that opened in March 2017 boasts seven outdoor swimming pools, five swim-up bars, ten restaurants and two night clubs, amongst many other A-list amenities. Jesse Tyler Ferguson and his husband Justin Mikita enjoyed a stay at the Hotel Vitale in San Francisco. As the area's only luxury waterfront property, their home away from home featured unbelievable views, a penthouse spa with rooftop soaking tubs and more. Jana Kramer performed on the idyllic island retreat for a private concert aptly named the Sandbar Sessions. Real Housewives of New York's Carole Radziwill also recently escaped to this remote Florida Keys resort. Sandra Bullock, Drew Barrymore and Scarlett Johansson are also fans. Real Housewives of Atlanta's Porsha Williams recently jetted off to the Moon Palace Jamaica Grande for an island getaway. But it wasn't all R&R, Williams also took a run on the the hotel's wave simulator. The lesson didn't go exactly to plan, the reality star shared a video on Instagram or her dramatic wipe out. Nate Berkus and Jeremiah Brent, whose new show Nate & Jeremiah By Design is about to premiere on TLC, enjoyed a pre-press blitz getaway in Saint. Lucia. "My guy + this place = Heaven," Berkus captions this photo. Suits star Gabriel Macht and his wife, Jacinda, also recently stayed at the resort, nestled within 100 acres of rainforest. "Best lovin'," Lily Aldridge captions this sweet beach photo. 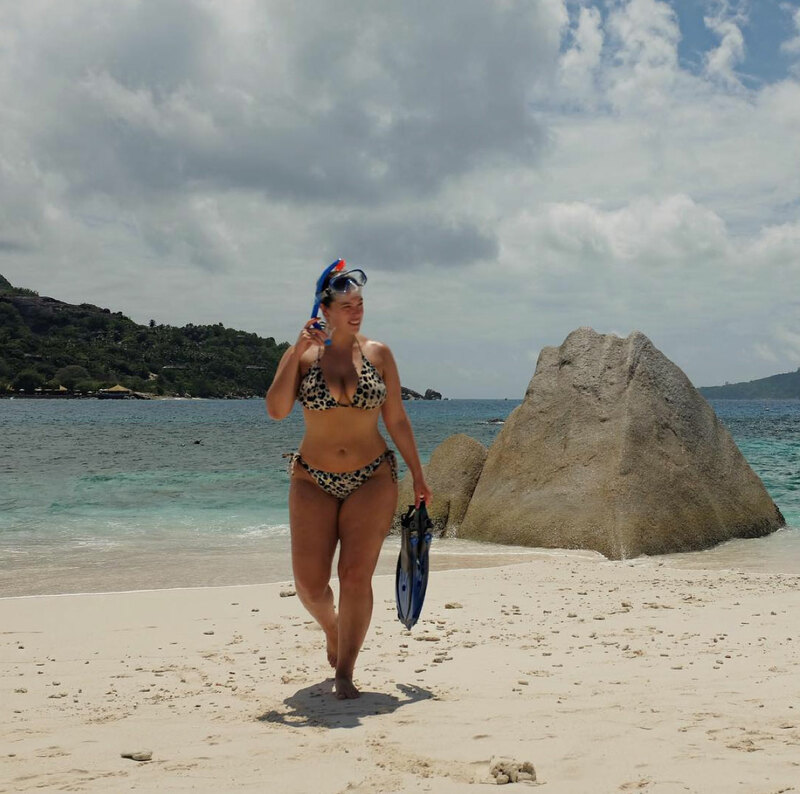 The supermodel has been island hopping: First enjoying a stay at Como Parrot Cay in Turks & Caicos, then taking a sea plane to Pig Beach, in the Bahamas. Eventually making her way to the Atlantis Resort there. Orange is the New Black's Selenis Leyva set up a sweet surprise getaway for her parents on their 50th wedding anniversary at the Grand at Moon Palace in Cancun, Mexico. The family took part in a vow renewal ceremony and then kicked back for a few days with cocktails by the pool. Justin Bieber took a vacation from his Purpose tour to stop by Sir Richard Branson's private resort in Australia, the heart-shaped Makepeace Island. Fishing, water sports, river cruises and a little R&R next to the 500,000 litre Lagoon Pool are just a few of the activities the singer could enjoy during his stay. Ludacris and Kevin Hart are just a few of the famous faces that have frequented Coco Collection's Coco Prive in the Maldives. Each guest is given “a totally individual experience, tailored to the finest detail,” which could include a private chef, spa treatments, water sports and more. Jenni "JWoww" Farley and her family, including husband, Roger, and children, Meilani and Greyson, jetted off to CeBlue in Anguilla for a family vaca in a five-bedroom villa that overlooks the ocean and boasts a private pool. Paris Hilton and new beau The Leftovers actor Chris Zylka visited HABITAS in Tulum, Mexico, for a romantic vacation in one of the resort's 500-square-foot private homes. 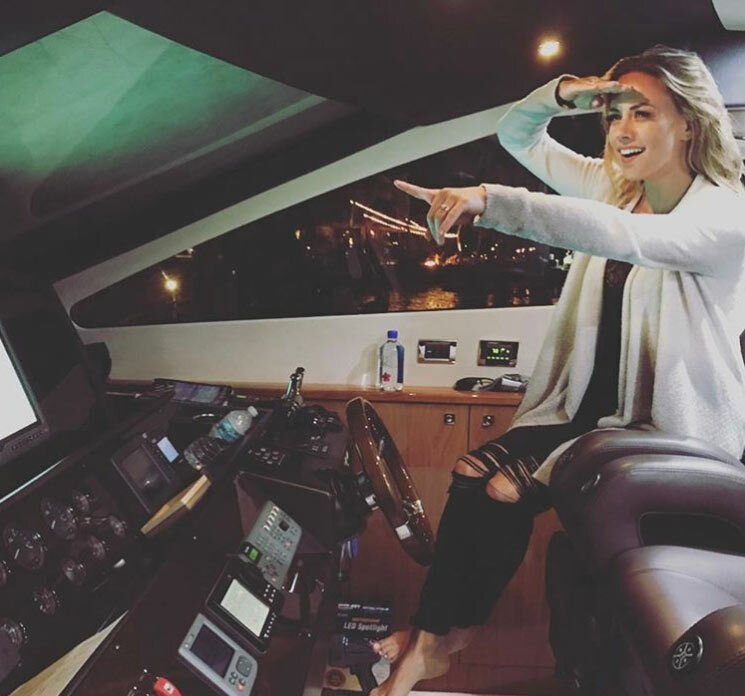 Southern Charm's Craig Conover and Naomie Olindo recently visited the Hard Rock Hotel & Casino in Biloxi, Mississippi, where they enjoyed a private dinner and a luxury suite complete with custom marble tubs, a wet bar and skyline views. Former Bachelorette Lauren Bushnell recently visited this Mexican resort with her family. The first hotel to open on the picturesque Punta Mita's peninsula, the property's suites offer amenitites like private plunge pools and cliff-top views. "An eco hotel inspired by nature will always be my #1," Ellie Goulding writes of her favorite Miami spot, 1 Hotel South Beach in an Instagram post. Some of the earth-friendly touches include cardboard hangers, reclaimed wood headboards and plantable welcome notes. Former Bachelorette Jojo Fletcher and fiance Jordan Rodgers made a sweet escape to Necker Island, the exclusive Caribbean retreat owned by Richard Branson where the Obamas also enjoyed a post-presidency getaway. When Branson's not using it, visitors can book a private villa or the entire 74-acre island. Gwen Stefani and Blake Shelton recently checked into the idyllic Hotel Esencia, situated on Mexico's Mayan Riviera. The property has also welcomed Kate Bosworth, Suki Waterhouse, Diane Kruger in the last few months. 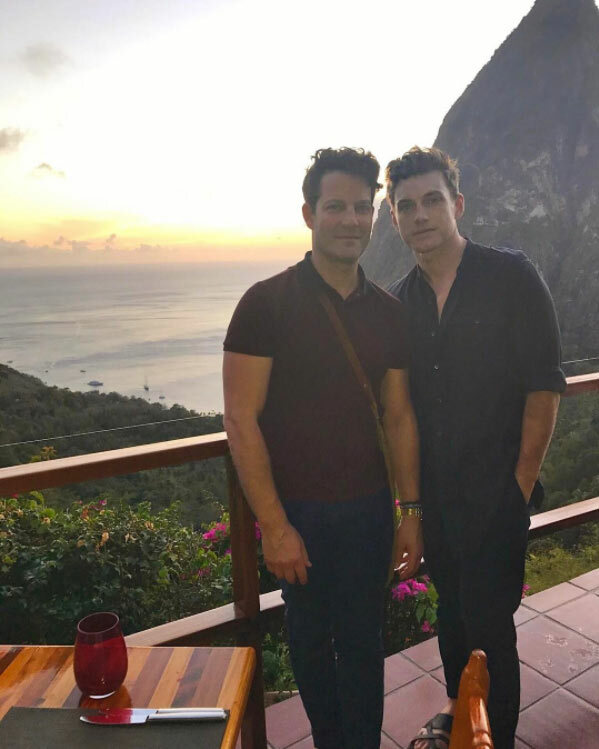 Dancing with the Stars pro Louis Van Amstel and husband Josh Lancaster enjoyed a holiday at Miami's Pritkin Longevity Center & Spa. During their four-day stay the newlyweds also led a dance class for guests. Kris Jenner and Cate Blanchett are two of this stately property's recent well-heeled visitors. Frequent hotel guests can expect a special welcome: pillowcases monogrammed with their initials. "The hotel keeps thousands of pillowcases on hand in a variety of two-initial combinations for that purpose," says a hotel spokesperson. 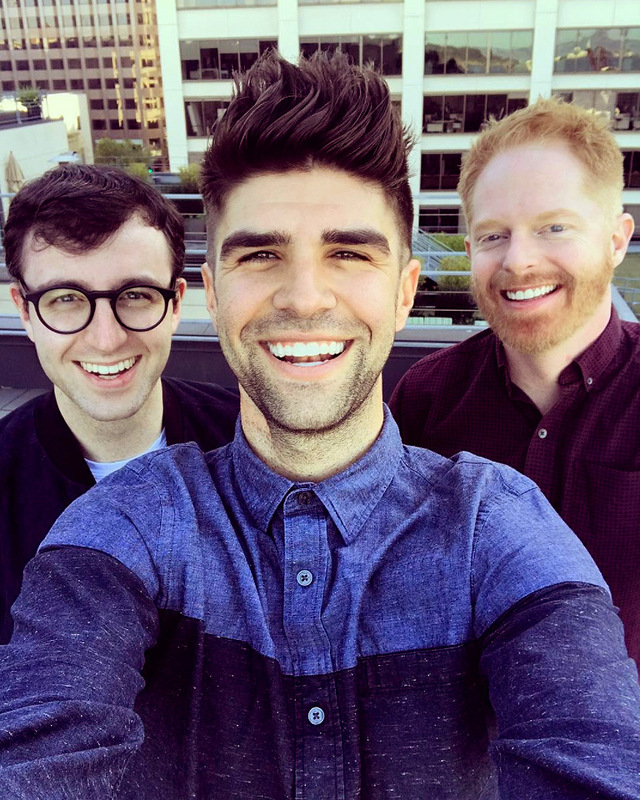 Modern Family star Jesse Tyler Ferguson and his husband, Justin Mikita, recently escaped to this desert destination in Colorado, where they took part in horseback riding and a UTV tour of the red rock canyons before retreating to a two-bedroom "casita." Past guests include Demi Moore and Ashton Kutcher, and William H. Macy. Country star Maren Morris took a break from Nashville life at the Kimpton Seafire Resort + Spa in the Cayman Islands, bringing boyfriend and fellow musician Ryan Hurd along for a seaside lounge. "Not interested in leaving," she captions her beach snap. 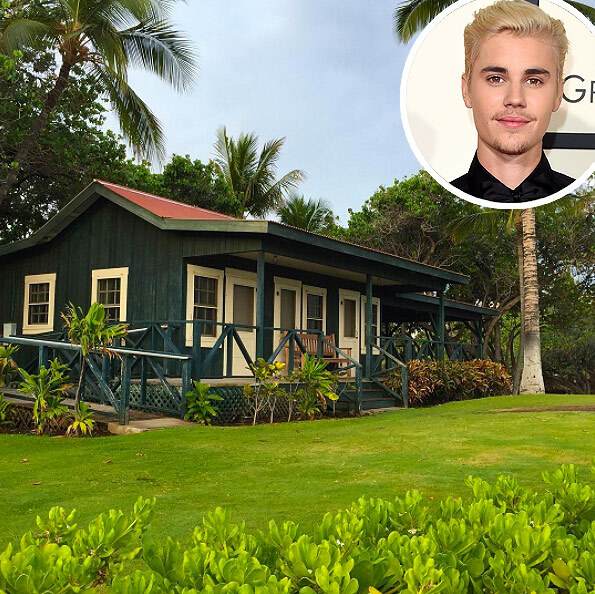 While vacationing on the Big Island of Hawaii, Justin Bieber stayed at the Mauna Lani Hotel and Bungalows. He also took a private helicopter to KapohoKine Adventures' Zipline Through Paradise." Nashville's hip 506 Lofts recently hosted Minka Kelly. In a post on instagram, the actress writes, "You give good sleep and you will be missed! May I recommend the coziest stay @506Lofts. See you soon, Nashville!" Modern Family's Ariel Winter took advantage of the equestrian activities on offer at Miraval Resort and Spa in Tucson, Arizona, recently. The desert destination also counts Lupita Nyong'o and Ellen DeGeneres and Portia de Rossi among its fans. Kendall Jenner is a certified jet-setter, often sharing her pro guides to cities like Rome and New York on her app. Her favorite spot to stay in London, though, is Claridge's, known for its classic British elegance and, of course, its afternoon tea. Real Housewives of Beverly Hills' Kyle Richards and husband Mauricio Umansky took a quick trip to the Sandals Emerald Bay resort in the Bahamas. The all-inclusive resort sits on 500 "tropical acres," according to the site, and offers its guests three pools and seven restaurants. It doesn’t get much more charming than Victoria's Secret angel Elsa Hosk’s French hotel choice, Le Bristol Paris. A variety of restaurants, gorgeous gardens and a five-star staff with their fingers on the pulse of everything Parisian await guests at this hotspot. Pretty Little Liars' Tammin Sursok loves to retreat to the Beaches Turks and Caicos Resort Villages and Spa. The all-inclusive resort is totally family-friendly, with on-site waterparks, a kids' camp and more.